A friend sent me this photo. 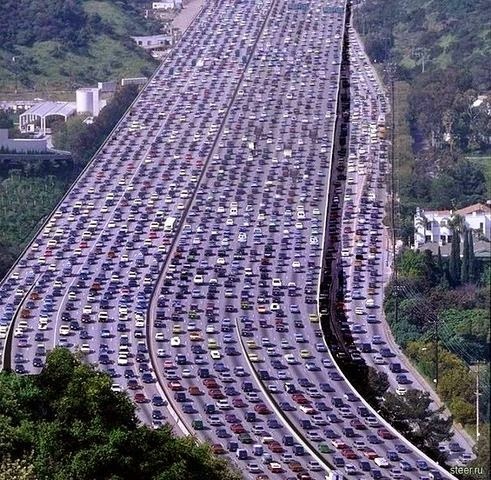 According to her note, this image represents "the longest traffic jam in the world -- recorded in China. Its length is 260 kilometers [and that's 161 MILES, folks!]." To me, this picture provides an excellent illustration of the fallacies of individualism. The China National Highway 110 traffic jam is/was actually 100 km .